Panasonic Australia has introduced three new camcorders to its 4K ultra high-definition lineup (the HC-WXF990MGN, the HC-VXF990GNK and HC-VX980MGNK) and three to its Full HD camcorder lineup (the HC-W580MGN-K, the HC-V380GN-K and the HC-V180GN-K). This year’s range offers outstanding 4K quality as well as clever editing tools and simultaneous recording, allowing users to capture memorable moments in stunning quality and create creative and engaging videos to share. The new models will be available in March 2016 from selected photo specialists and consumer electronics retailers. These new compact and lightweight 4K camcorders build on the success of Panasonic’s first 4K camcorders which were introduced to the market last year. By combining a wealth of advanced imaging technologies such as the LEICA DICOMAR lens, back-illuminated sensor and Crystal Engine 4K, beautiful 4K images that boast four times the resolution of Full-HD can be captured for later viewing. In addition, high-speed, high-precision auto focus technologies, highly critical for 4K shooting, help to increase image quality further. When recording in 4K Photo mode, the user can obtain 8-megapixel still images of decisive moments, choosing from an incredible 30 frames per second. No matter how fast the action, you will never miss the perfect shot. The HC-WXF990MGN, HC-VXF990GNK and HC-VX980MGNK add new versatility to editing with the 4K Cropping feature that cuts out Full-HD resolution video from 4K footage internally within the camcorder. It allows post edit effects to be added to a recorded video, such as zooming, panning, tracking and stabilising. The edited video is saved in Full-HD format, with the benefit of retaining high definition and crisp detail. The HC-WXF990MGN and HC-VXF990GNK also offer a tiltable viewfinder to make it easier to capture subjects more precisely. Cinema-Like Effects allow you to apply creative techniques to your video, similar to those seen in the movies, such as Slow & Quick Video, Slow Zoom, and Dolly Zoom. For example, by combining Slow Video and Quick Video, the user can add dramatic effects to motion-filled scenes. Slow Zooming, which is also often used in cinema films and difficult to do manually, is easy to operate. It lets the user add tension to otherwise simple scenes, and express emotional shifts in subjects. The Dolly Zoom technique zooms only the background while maintaining the subject’s size to express feelings such as confusion, distress, or surprise. The resulting footage can be thrilling and create suspense in the film. Wireless Multi Camera is a new function evolved from Panasonic’s original Wireless Twin Camera, which enables picture-in-picture recording using a Wi-Fi-connected smartphone as a sub-camera. While Wireless Twin Camera links to only one smartphone, Wireless Multi Camera connects to as many as three smartphones and records up to two sub-window images instead of one. This lets the user shoot from a variety of angles and viewpoints to add interest and impact that simply is not possible with a single-camera view. It opens up a range of shooting possibilities from capturing different angles of a performance, to allowing the family member shooting the scene to become part of the story. The Twin Camera feature with a pan/tilt sub-camera on the edge of the LCD monitor allows simultaneous recording of images from two different angles. Also provided are a Narration mode that emphasises the camera user’s voice in recording and a backup function that simultaneously records images without the sub-window, giving great flexibility to the user. 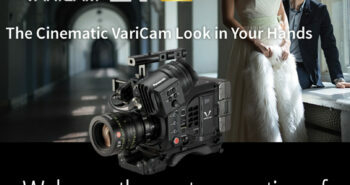 The new camcorders ensure level, vibration free shooting, so those once in a lifetime opportunities are stable and sharp. Panasonic’s Level Shot function automatically detects tilting and levels the image. The HYBRID O.I.S.+ (Optical Image Stabiliser) uses five-axis correction to thoroughly suppress blurring, whether you’re shooting wide-angle or powerful zoom shots, making it possible to capture crisp, clear images in almost every shooting situation. Panasonic’s three HD models boast a remarkable 50x optical zoom and 90x Intelligent Zoom, allowing you to get closer to the action from sports to scenery. 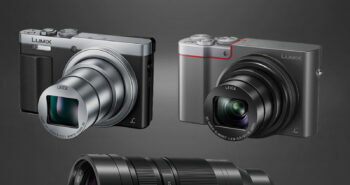 The 4K HC-WXF990MGN, HC-VXF990GNK and HC-VX980MGNK have a versatile 20x optical zoom. Wide angle capabilities also allow film makers to include more people and more of the background in the frame for truly cinematic results. This is handy when you want to take a group photo in a small room, or fit your subjects in even when you are shooting from up close. These camcorders include the Baby Monitor feature which enables you to check on a sleeping baby in another room with the camcorder connected to your home network. You can call out to the baby using your smartphone or have a notification sent to your smartphone when your baby’s crying voice or another sound is detected. You can also provide live streaming of video over the Internet using USTREAM. *Length of pan/zoom approximately either 20 seconds or 40 seconds. *The viewfinder and LCD monitor cannot be used simultaneously. Also, since the icons displayed in the viewfinder cannot be operated, open the LCD monitor for touch operation.